Mami Kataoka has served as the Chief Curator at the Mori Art Museum since 2003, where she has curated a number of exhibitions including Ai Weiwei: According to What? (2009, currently at the Brooklyn Museum as part of the exhibition’s North American tour);Lee Bul: From Me, Belongs to You Only (2012); Makoto Aida: Monument for Nothing (2012); and most recently co-curated the triennial survey show of Japanese contemporary art Roppongi Crossing 2013: Out of Doubt (2013). Previously, she was international curator at the Hayward Gallery in London from 2007 to 2009, dividing her time between Tokyo and London. Prior to these positions, she was the first chief curator at Tokyo Opera City Art Gallery from 1998 to 2002. 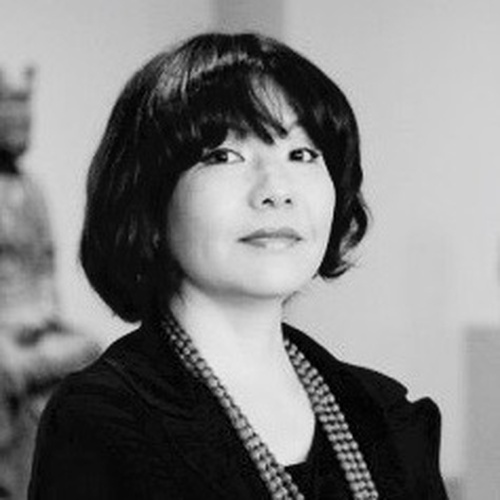 In 2012 she guest curated Phantoms of Asia: Contemporary Awakens the Past for Asian Art Museum in San Francisco, and co-directed the 9th Gwangju Biennale in South Korea. She is a frequent writer and lecturer on contemporary Japanese and Asian art and artists. She also serves as a board member of CIMAM (International Committee for Museums and Collections of Modern Art) and is an advisory member for the Ullens Center for Contemporary Art, Beijing, and a member of Guggenheim Museum’s Asian Art Council.